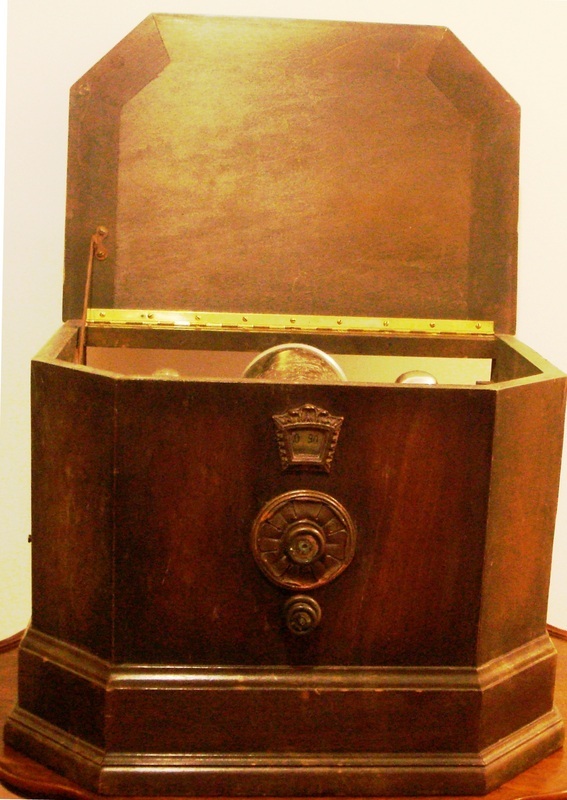 1927, model Abbey Battery, radio manufactured by Splitdorf Radio Corporation, Newark, NJ, USA. It has a tuned radio frequency with a 6 stage valve line up. One dial control. 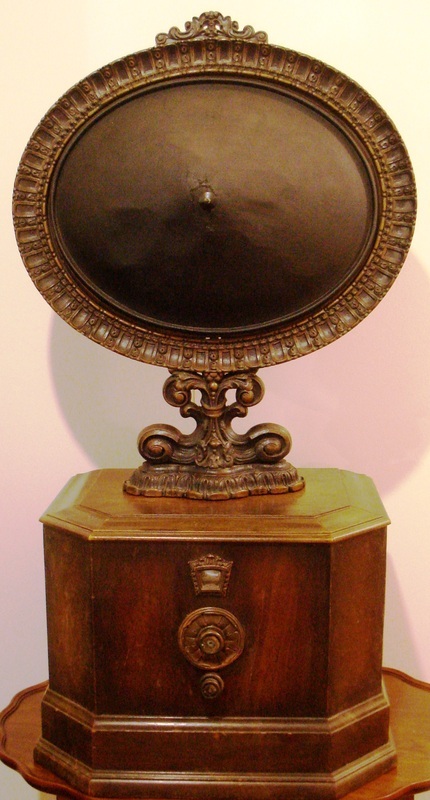 The style is a table mantle, wooden case construction in deep antique walnut. The cabinetry was modeled from an old world jewel case and designed by Noel S. Dunbar, New York, NY, USA for Splitdorf Radio Corporation. Dimensions (HWD) 355mm x 470mm x 320mm. 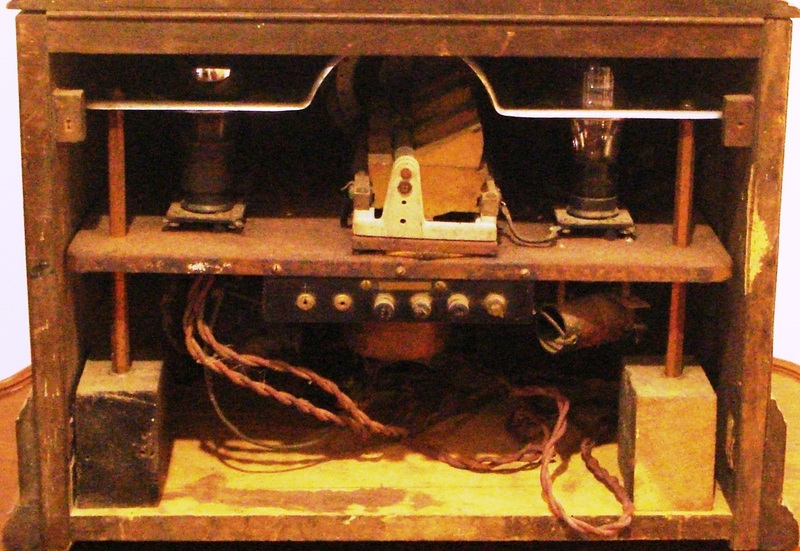 It comes with a 1926 Splitdorf conetone speaker. Dimensions (HWD) 660mm x 445mm x 180mm.